Folks we have several important updated for the Bugeater! Also, we have posted tickets for our 40k narrative events! A long time 40k GT staff Cory Gage is running it in our first year. On Saturday we will have a 3 round, 2000 point event. We will be releasing custom scenarios built around a planetary encounter. The outcomes of these games will influence the conditions for Sunday’s event…. The Sunday MEGA BATTLE! Players can bring UP TO 3,000 points (we want to encourage people with large AND small collections to come), and the objectives for each side will be based on the outcome from Saturday. If you live in the area, you know that this has been a record breaking January/February/March for us. We have had to have more than 5 snow days for the first time in a decade. In deciding how this would impact the calendar, our school district will now finish the year on May 31st. We had planned for this possibility, and had a backup facility lined up for our Friday events. 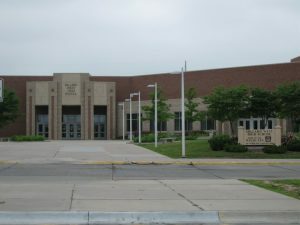 Unfortunately, that facility will also be in use for other schools that have had to adjust their calendar. We considered some revised options, but they were logistically too difficult to pull off. This means we have to cancel most of Friday’s events. The last day of school is a half day, which means we can still host some events in the afternoon/evening. We are in the process of talking to our event organizers. We will FOR SURE still have Kings of War: Vanguard. But we know that we will have to cancel our Age of Sigmar and 40k team events. Players that already purchased those tickets will be getting refunds this weekend. We apologize for this inconvenience. These are unique circumstances that are unprecedented (right now we are dealing with historic flooding in the aftermath of the snow). Fortunately this will not be a possibility next year, because the first weekend of June is much later (Bugeater 2020 is June 5th-7th next year). Now that we have resolved the issue of our Friday (not in the way we hoped), we will posting updates much more frequently. Let us know if you have any questions! The schedule for the 2019 Bugeater is up, and tickets for most events are now available! We’re still working out the details for a few events, so we are holding off on ticket sales for those until we know the full details of what we’ll be offering for you. Shadow War Armageddon is now a full Kill Team tournament on Friday! We will be adding a new Age of Sigmar event on Friday – details to come! There will be 40k narrative events on Saturday and Sunday – details to come! The 40k Doubles is now a 40k Team Tournament, in the same style as ATC/ETC! Almost all of our main events are growing in size. Age of Sigmar and Bolt Action both have much larger player capacity. 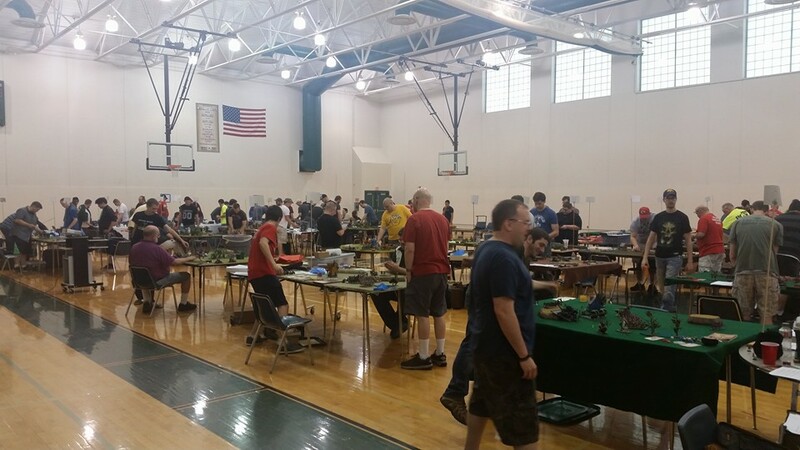 Our largest event, the 40k GT, is expanding to ONE HUNDRED players this year! Are you ready?! The schedule is below. Pages are up for individual events. For now, most of those pages have barebones information and we’ll be adding more info in November and December. Tickets for most events are ready to be purchased! Now accepting applications for Bugeater 2019! We are very excited to get planning underway for the 2019 Bugeater, which will take place on May 31st-June 2nd, 2019. 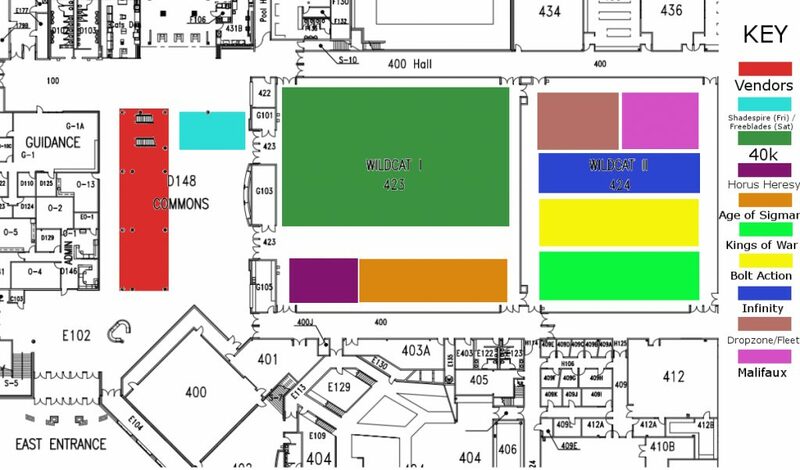 If you are interested in either hosting a gaming event or setting up a booth in our vendor space, we ask that you please fill out this application. NOTE that this is for NEW games or booths. Those who have hosted events previously or have run a vendor booth before at the Bugeater do NOT need to apply and have been (or will be) contacted directly by the tournament staff. We will review all applications and consider making any additions. Thanks! Thank you to everyone that attended the Bugeater GT! It was our largest event that we’ve ever put on, and raised the most money for our debate program by far. We are slowly updating the page with results. Be sure to keep an eye on our facebook page for pictures from the various games that were being played. We’ll see you for Bugeater #9 in 2019! Day One of the Bugeater is here! Remember, lunch is NOT provided today but some concessions will be available! This year we’l be using the main entrance for the first time – no more coming in through the north doors! For your convenience, here is a map of the events. Warmachine will be on the deck overlooking the commons! Food and drink at the Bugeater! Now that it is the week of the event we wanted to run down some important information with you! First up – food and drink. Unfortunately, we could not make #FoodTruckFriday work this year. That is a top priority to add next year, but we learned some lessons about getting trucks scheduled and out to the site. As we continue to grow the Bugeater we will make sure this happens! So if you are competing on Friday you are on your own for lunch. We have compiled a list of nearby options for you to consider. Green options on the map are fast food options. There are several right across the street from Millard West: McDonald’s, Goodcents, 1000 Degrees, and even HyVee. HyVee has good, quick Chinese and other food options that you can eat right at the grocery store. For meals where you have more time, we have put together a list of options around the school and the tournament hotel you might want to consider. We tried to put together a list that has a variety of options – from sports bars to Thai food to sushi. If you’re looking for unique Nebraska options that are relatively quick, make sure you hit up Runza or Pepperjax. For Saturday and Sunday we strongly encourage you to eat lunch at the tournament! We will have lunch for $7. That gets you a main item, chips, drink, and dessert. On Saturday the main item will be chicken from Raising Cane’s. On Sunday, the main item will be pizza from Godfather’s Pizza. Money from these meals goes straight to the debate program. We will also have concessions available throughout the day (water, pop, Gatorade to drink along with food as well). And new this year for Saturday and Sunday – coffee! Scooter’s Coffee has been kind enough to help us out and provide coffee for the event. Warhammer 40k GT: Sold Out! 3 months to go! Several announcements! Hey everyone – the Bugeater will be here faster than you think! The rules pack for the 40k doubles has been released. You can find that here. Thanks to some great contributions and terrain work, we have expanded our Bolt Action field to 40 spots! Get them while they’re available. 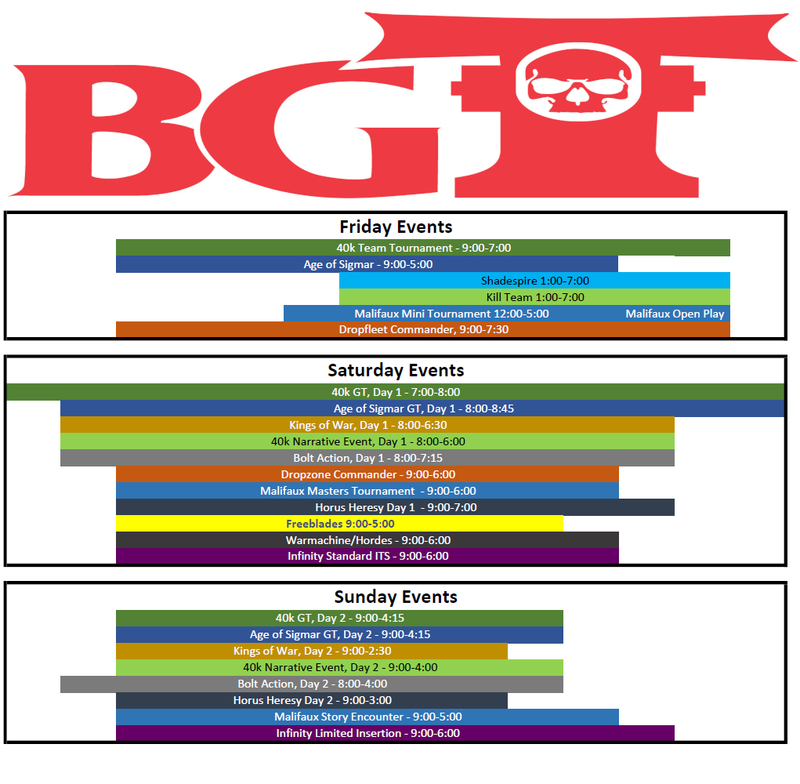 DGS Games will be coming up to Bugeater this year, and with their addition we will be adding a Freeblades event on Saturday, along with demos throughout the event. More details to come! Many thanks to Frontline Gaming, who are supporting our 40k GT with donations of terrain and battle mats. We will have signs down so you’ll know if you’re playing on a table they provided for us. Please be sure to support them, they do a great job giving back to the community! Warhammer 40k Doubles has sold out! We have sold out our spots for the 40k doubles event! Unlike Warmachine/Hordes, we are not planning on adding additional spots. If you would like to get your name on the waitlist, click here.